This insight aims to raise awareness on food safety & share real world applications of Blockchain in Agricultural supply-chain management, from farm to table. Blockchain is quickly escalating the technology world thanks to the burgeoning interest from public and private entities. Blockchain, the underlying technology behind cryptocurrencies like BITCOIN that took the world by storm throughout 2017 and also in early 2018, seems very promising when it comes to solving problems that has plagued agriculture and food sector for decades. Especially the ones that stem from lack of transparency and trust. In this article we’re going to explore the potential implications of blockchain in Agriculture & Food industry. How could Blockchain technology disrupt agricultural supply chain management? How could Blockchain foster responsibility, accountability and trust between consumers and businesses? We’ll also throw some light on how it’s going to impact stakeholders of agricultural value chain, the key benefits and challenges. “You name the problem, Blockchain is the solution”. This isn’t the way to go. Please take your time to understand blockchain and then perform an analysis of how you can make use of it. 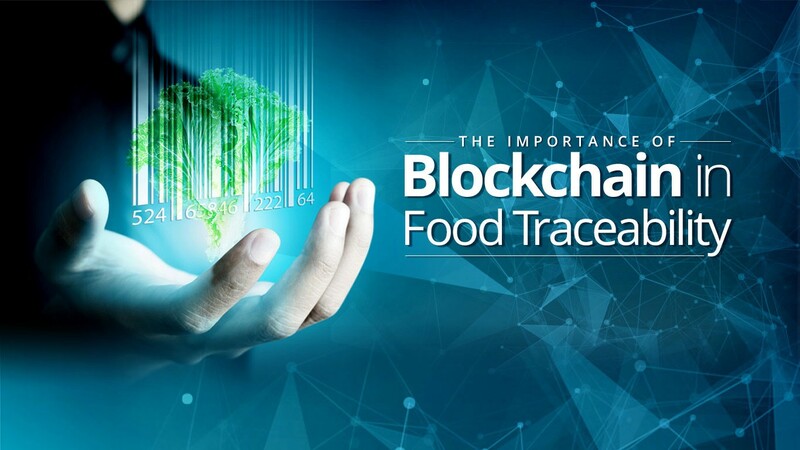 Let’s first take a quick overview of Blockchain before we tell you how blockchain is going to transform the agricultural supply chain from farm to table and gift us a safer and sustainable food system i.e., enhanced food safety, reducing food waste, preventing food frauds and food scams, ensuring proper disbursement of subsidies to farmers and financially empower people. Blockchain is a shared, immutable and infinite ledger for recording anything that can be classified as a transaction. It’s not owned by anyone i.e., it’s decentralised and democratised. Thus, fostering trust, transparency and accountability across business networks. You may imagine it as a single infinite database of which everyone has an identical copy but which cannot be modified without consensus of all involved actors. Blockchain is not a single technology rather it’s a conglomerate of several technologies. For readers interested a bit more technical explanation: Blockchain is fusion of Public/Private key cryptography and cryptographic hash functions, distributed database technologies, consensus algorithms and decentralised processing. Blocks — An ordered set of transactional records and a hash of previous block. Peer to Peer networks — Also called network of nodes provides computing power to carry on consensus. Consensus Algorithms — “Proof of stake”, “Proof of work” and “Byzantine fault-tolerant” algorithms to define how a new block can be added. Cryptographic Signatures — Transactions in blockchain are cryptographically signed with public/private key imparting security features to it. Smart Contracts — Automatically executes pre-decided contractual clauses when a condition is triggered. How to record information of agricultural supply chain transactions & make it securely accessible to all stakeholders participating in serving the consumer, while the food moves from farm to plate? Is it possible to verify if the food is fresh and healthy to eat? There are multiple transactions involved in crop production and processing before the consumable food gets served in our plate. Each of the stakeholders in this agricultural value chain of farm to table process seeks info about crop provenance, movement and authenticity. Stakeholders could be farmers, food inspectors, logistics providers, distributors, consumers etc. But, at present this whole information is maintained at different levels by several intermediate organisations giving rise to loopholes for corruption, scams and fraud. This creates a demand for transparency and trust. This is where blockchain network can be a true game changer as it not just reduces the paperwork but also decentralises the data, making it accessible and available to all the stakeholders in real-time. 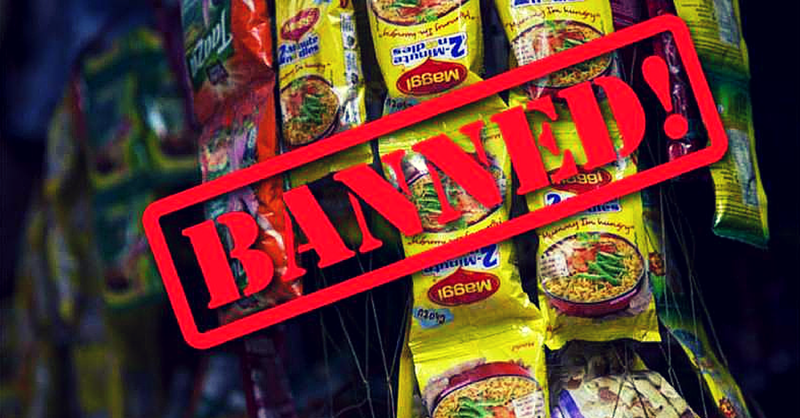 “Food theft scam” in Uttar Pradesh, India of INR 349 Billion, Nestle India’s Maggi controversy that contained 1000x lead and MSG (monosodium glutamate). This in a country where over 200 million people are reported to be undernourished, a country which is ranked 100 out of 119 countries by Global Hunger Index. This is not just limited to India, agriculture and food sector around the world is dogged by such scams and frauds. Over the years we’ve read news headlines from “rat meat sold as mutton” to “plastic rice, adulterated milk, contaminated food and use of harmful chemicals in crop productions”. In sept 2006, there was an E-coli outbreak in US that claimed 5 lives, 100s hospitalized and 30 suffered severe kidney failures, thanks to tainted spinach produced in a single farm that was distributed in the US market. Before agencies could trace back the origin and cause of outbreak two weeks had already elapsed. And in that time duration US authorities had pulled of spinach from market impacting whole industry esp small farmers. Also, 10 people recently died in Peru after consuming meat at a funeral which was later found to be contaminated with organophosphates (chemical used in pesticides). WHO reports each year 600 million people fall ill because of consuming contaminated food and as many as 420,000 die including 125,000 children. Now, imagine 21st century digitized food system empowered with blockchain and IoT in which consumers as well as other actors can traceback any transactions involved in farm to table lifecycle of agrifoods i.e., from provenance to packaging, that too just in minutes (sometimes even in seconds). This can help identify the source of outbreak of contaminated products without affecting the whole industry. Was it conventionally grown using fertilizers, pesticides, antibiotics, hormones or was it organically grown? Which pesticides and chemicals were used? How and which company processed it? All this information at fingertips, just seconds away. This enables consumers to take informed decisions while purchasing products and enhances transparency. A potential use case of blockchain in agriculture could be ensuring timely and full payment to farmers through the use of smart contracts. Smart contracts would automatically carry out contractual clauses based on the events triggered. As the blockchain applications mature with time, it can expand market opportunities to a global scale for small farmers and agriculture based businesses as there will be reduced number of litmus test for farmers and less need for trustworthiness evaluation, something that previously deterred international buyers from purchasing products from unknown manufacturers and suppliers. Through the use of cryptography an infinite and immutable ledger of assets and transactions can be implemented which cannot be hijacked or tampered. This eliminates the need for the third parties to maintain records. Also, every bit of information would be accessible by everyone along the value chain. So, there would be records about the movement of food and money both. This would rule out any possibility of engaging in bad practices. Crop Insurance provides protection to farmers whose yield gets affected due to unpredicted weather conditions. But, processing these insurance claims is a slow process because of which farmers have to live for months in cash-crunch. Sometimes farmers report losses larger than actual damage, sometimes insurance executives would charge a bribe for quick processing of claims. Sometimes, it’s genuinely complex to process the claim as analysing weather conditions and its repercussions on crops can be a really tedious task. Legacy technologies are inefficient in handling these situations efficiently. Enters Blockchain and IoT. IoT devices can be used to feed data to smart contracts in the vent of disaster for verification purpose. This weather data will be used by smart contracts to trigger conditions and rules to begin issuance of capitals for claims. Also, insurance companies would benefit as it significantly reduces the number of resources needed to process claims, thus reducing the workforce requirements resulting into revenue savings. Another use case of blockchain could be in tracking machinery maintenance record status of in-field sensors and equipments. Producers could keep real-time status of machines under use, under repairing. This too can be a game changer for large organisations with a number of farms and dozens of equipments under them. To conclude this article, we would leave you with some market stats. BIS report states global blockchain in agriculture & food market will grow at a CAGR of 42.45% from 2018–2028 to reach USD 1.4 Billion. Though, blockchain is still in nascent stage esp. in agriculture space but it has got the potential to disrupt this sector which until now was lagging behind in adopting new technologies. Let’s start a conversation with Codewave to further discuss future of blockchain and agriculture. Codewave is an official partner of Multichain, an opensource Blockchain platform. Stay connected to Codewave for more such insights and feel free to reach us at hello@codewave.in or +91 8971824910. If comfortable you may drop by at 1st Floor, Shree Chambers, #307, Outer Ring Rd, Banashankari 3rd Stage, Bengaluru, Karnataka 560085. Thanks for taking out time to read this article. We hope it enriched your existing knowledge. Do let us know your views, by sending an email to hello@codewave.in.